Would you recommend The Real Illuminati to a friend? I'm confused what this is. There's no information, it's just a contact form at present. Who do we get intro'd to? We all know meeting the right people has changed our lives. 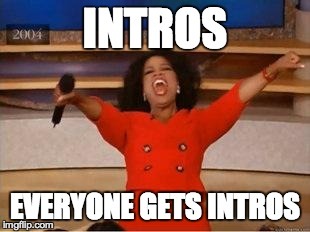 Intros as a service... holy crap SV. @erikfinman Thanks for the hunt Erik! I agree with @_jacksmith. While the idea is definitely interesting, the current landing page is missing a lot of important information. Before signing up I'd like to know things like: -the types of people I'll be introduced to -the # of people I'll be introduced to -etc. I think the service would be far more beneficial if it let users dictate the type of people they want to be intro'd to as well. @_jacksmith Serendipity, man! :) But yes, much could be expanded on here. @_jacksmith @henryboldi I agree on the Serendipity. I kind of like the vagueness.